On May 31, the presidents of member countries of the Eurasian Economic Union held a meeting in Astana within the framework of the EEU summit. 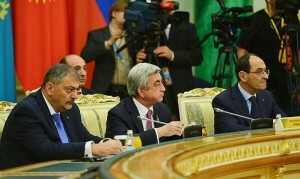 During his speech at the meeting, Armenian President Serzh Sargsyan qualified Azerbaijan as a threat to the entire space of the Eurasian Union. Serzh Sargsyan’s statement is focused exclusively on the internal audience — the Armenian people, says Vladimir Lepekhin, head of the Institute of EurAsEC. 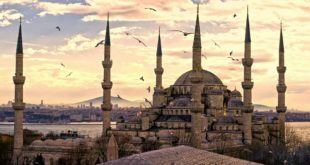 “The EEU has occurred in a very difficult situation, and there will be no support to Serzh Sargsyan in such statements. 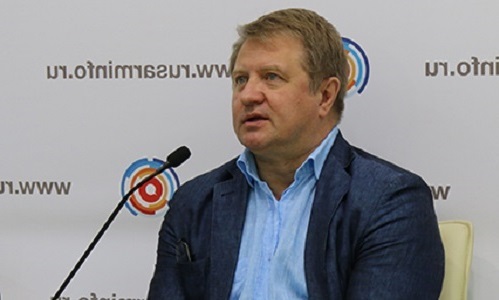 This is especially true for Kazakhstan and Belarus, which have more positive attitude to Azerbaijan than to Armenia,” told RUSARMINFO Vladimir Lepekhin. The expert is confident that the heads of Khazakstan and Belarus may react to Sargsyan’s statements but in the absence of press and in a narrow range. The Eurasian Economic Union (EEU) was formed in late 2010 on the basis of the Common Economic Space. The current union members are: Armenia, Belarus, Kazakhstan, Kyrgyzstan and Russia.